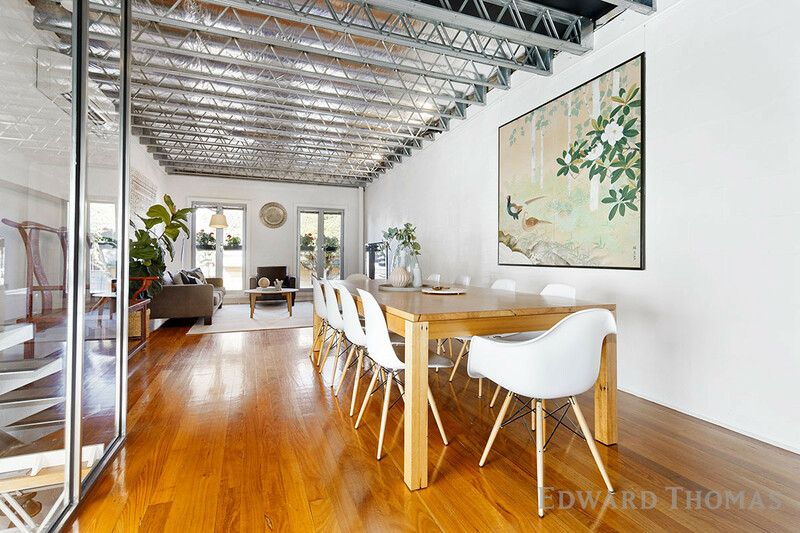 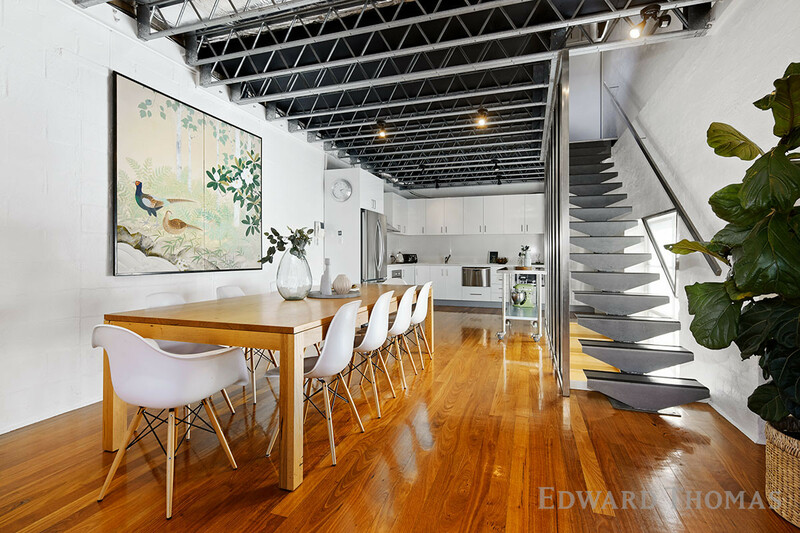 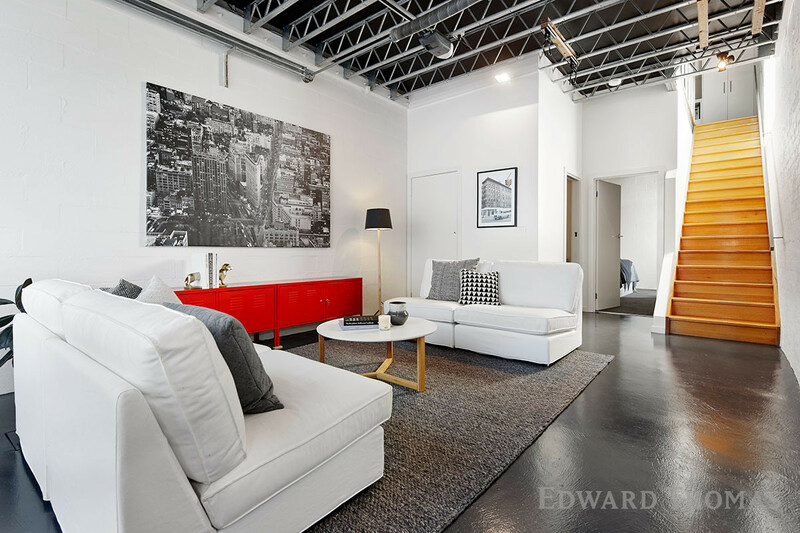 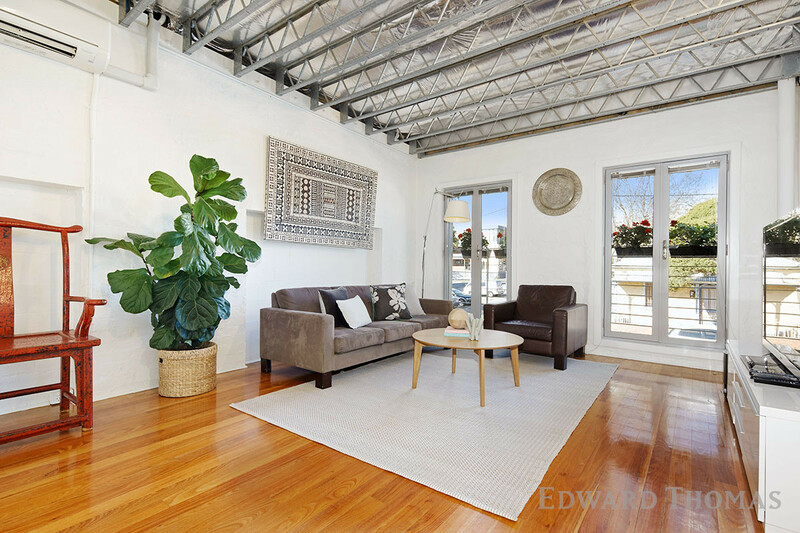 Innovative, industrial and in-demand, this New York style two bedroom, two bathroom Glass Merchant tri-level warehouse conversion enjoys exceptional versatility, vast open spaces and a vibrant city edge lifestyle. 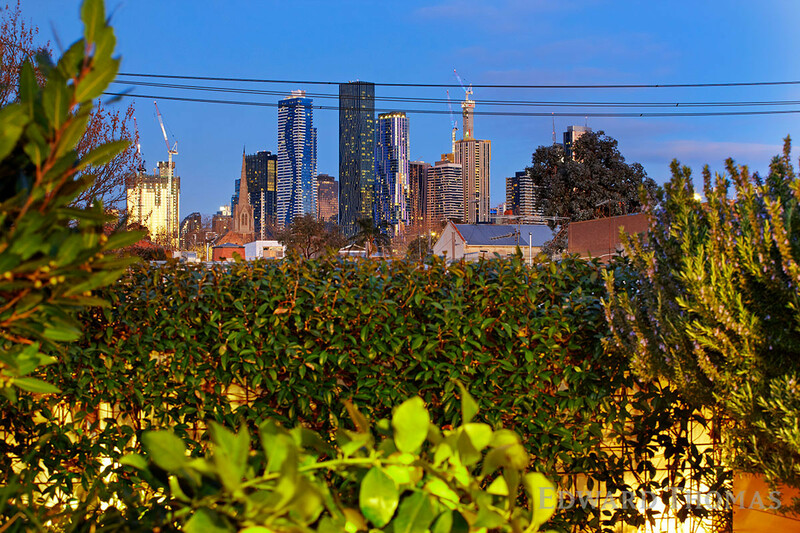 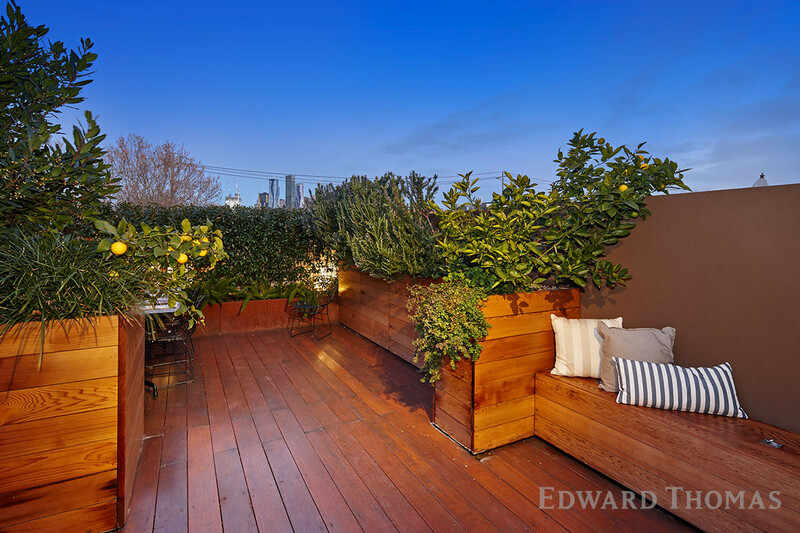 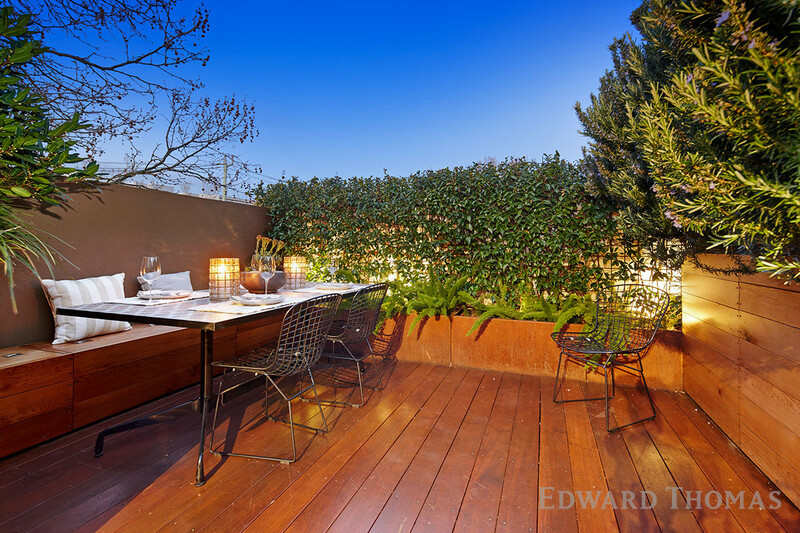 Boasting corner aspect, privacy and brilliantly designed roof top garden terrace with views across the CBD skyline, it offers sensational alfresco dining and entertaining opportunities. 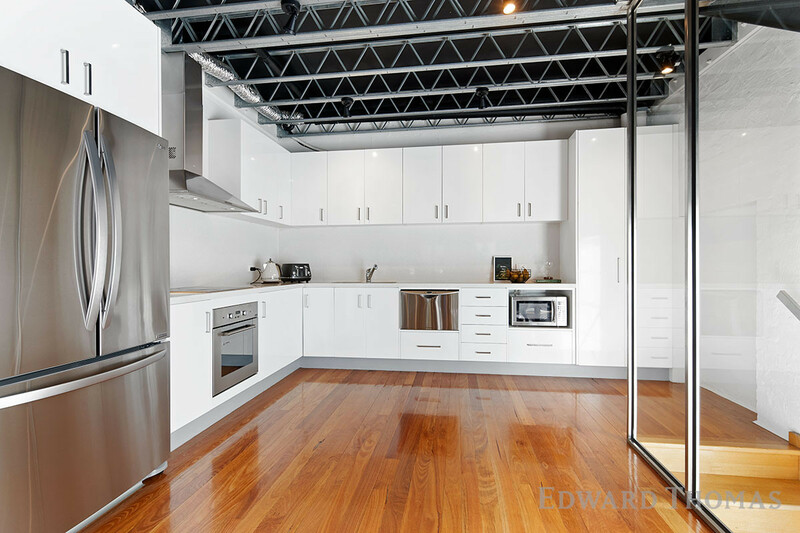 The entire middle level is dedicated to warehouse-inspired open plan living, dining zones cleverly configured around a generously proportioned chefs kitchen showcasing stone counters and stainless steel appliances. 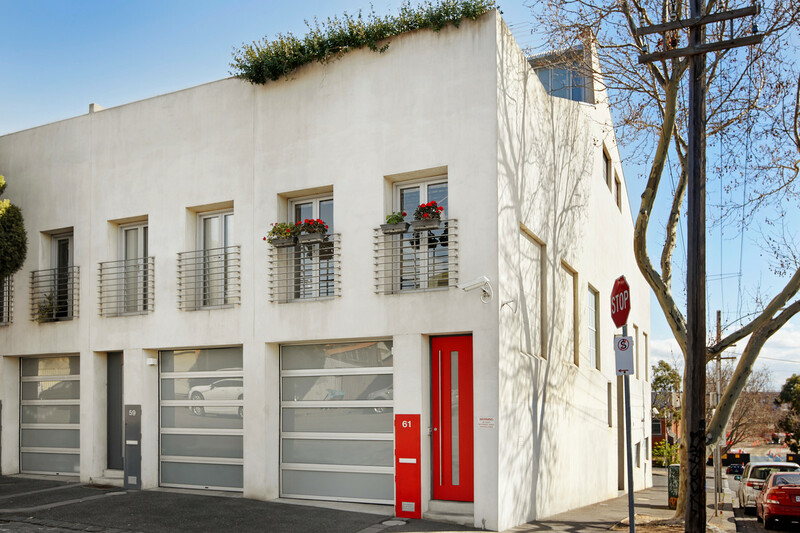 Highlights include secured entry to multi-purpose garage/second living zone. 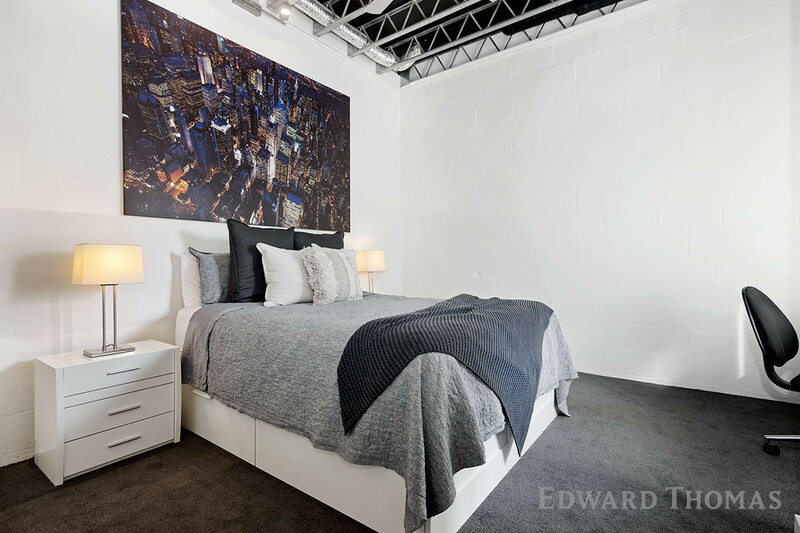 Thoughtful design provides great separation between two oversized bedrooms. 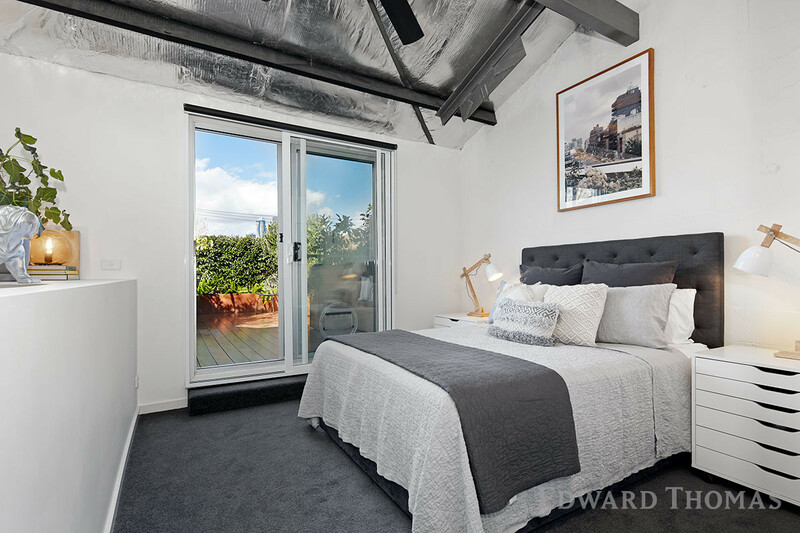 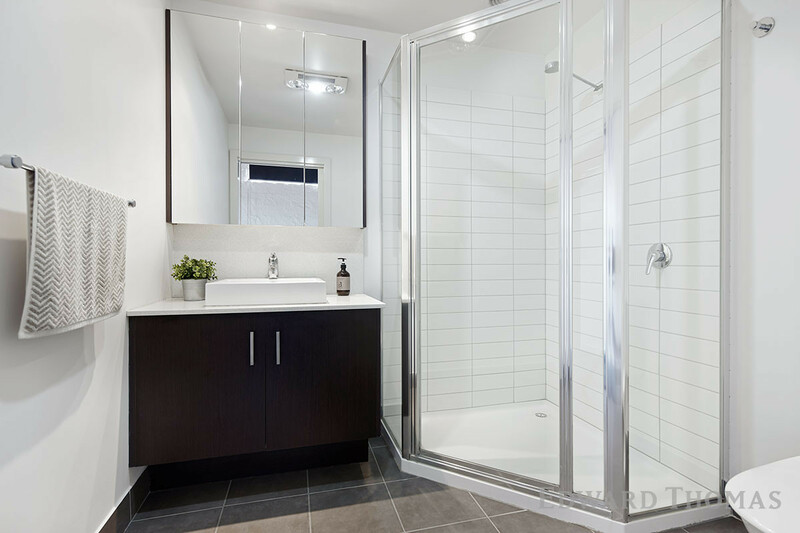 The main enjoys ensuite, terrace access and city views, while ground-floor bathroom/laundry serves second bedroom. 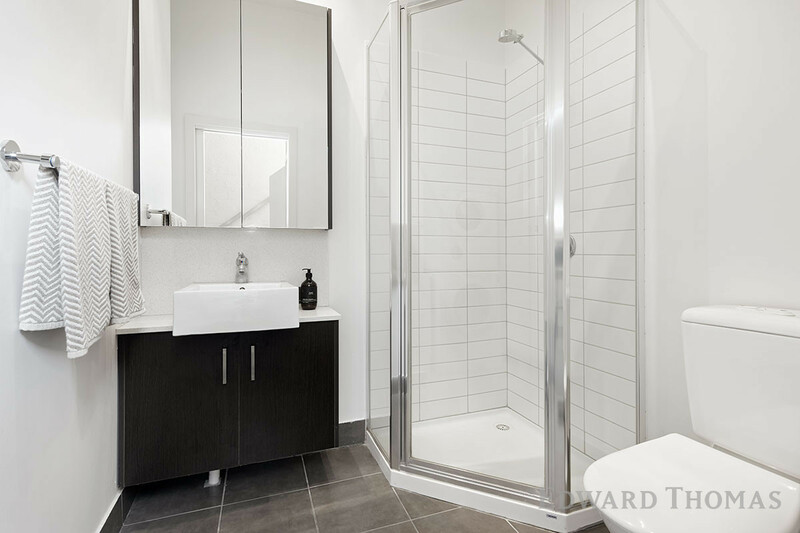 Complemented by built-in-robes, split-systems/panel-heaters and alarm/intercoms. 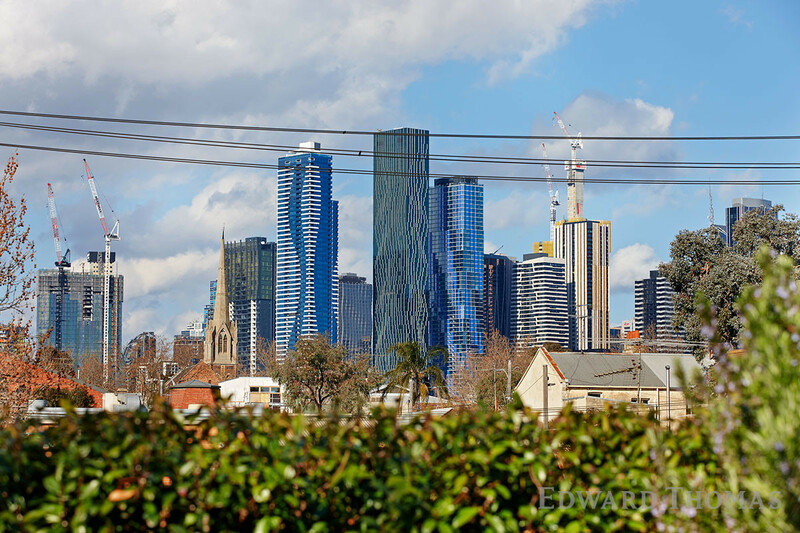 Near North Melbourne station, Errol Street cafés, shops, Queensberry Street trams, university/hospital precincts, Queen Victoria Market and zoned for North Melbourne Primary and University High, the property is also well-positioned to benefit from new Metro Tunnel and Arden Precinct projects.